The Afghan National Army (ANA) (Persian: اردوی ملی افغانستان‎; Pashto: افغان ملي اردو‎) is the land warfare branch of the Afghan Armed Forces. It is under the Ministry of Defense in Kabul and is largely trained by US-led NATO forces. The ANA is divided into six corps, with the 201st in Kabul followed by the 203rd in Gardez, 205th in Kandahar, 207th in Herat, 209th in Mazar-i-Sharif and the 215th in Lashkar Gah. The current Chief of Staff of the ANA is Lieutenant General Mohammad Sharif Yaftali. The Afghan National Army traces its roots to the early 18th century when the Hotak dynasty was established in Kandahar followed by Ahmad Shah Durrani's rise to power. It was reorganized in 1880 during Emir Abdur Rahman Khan's reign. Afghanistan remained neutral during the First and Second World Wars. From the 1960s to the early 1990s, the Afghan Army was equipped by the Soviet Union. After the resignation of President Najibullah in 1992, the Islamic State of Afghanistan took control of the Army. That government was driven from power in 1996 by the Islamic Emirate of Afghanistan (Taliban regime), which lasted until late 2001 when NATO invaded the country. By 2014, most of Afghanistan came under government control with NATO playing a supporting role. The majority of training of the ANA is undertaken in the Afghan National Security University. In 2017, the ANA had approximately 175,000 soldiers out of an authorized strength of 195,000. Historically, Afghans have served in the army of the Ghaznavids (963–1187), Ghurids (1148–1215), Delhi Sultanate (1206–1527), and the Mughals (1526–1858). The Afghan National Army traces its origin to the early 18th century when the Hotak dynasty rose to power in Kandahar and defeated the Persian Safavid Empire at the Battle of Gulnabad in 1722. 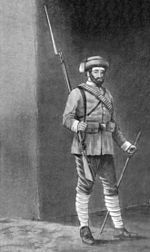 When Ahmad Shah Durrani formed the Durrani Empire in 1747, the Afghan Army fought a number of battles in the Punjab region of India during the 19th century. One of the famous battles was the 1761 Battle of Panipat in which the Afghan army decisively defeated the Hindu Maratha Empire. The Afghans then fought with the Sikh Empire, until finally, the Sikh Marshal Hari Singh Nalwa died and Sikh conquests stopped. In 1842, the British unsuccessfully tried to conquer Afghanistan, resulting in the 1842 retreat from Kabul. When [Abdur Rahman Khan] came to the throne, the army was virtually nonexistent. With the assistance of a liberal financial loan from the British, plus their aid in the form of weapons, ammunition, and other military supplies, he began a 20-year task of creating a respectable regular force by instituting measures that formed the long-term basis of the military system. These included increasing the equalization of military obligation by setting up a system known as the hasht nafari (whereby one man in every eight between the ages of 20 and 40 took his turn at military service); constructing an arsenal in Kabul to reduce dependence on foreign sources for small arms and other ordnance; introducing supervised training courses; organizing troops into divisions, brigades, and regiments, including battalions of artillery; developing pay schedules; and introducing an elementary (and harsh) disciplinary system. Further improvements to the Army were made by King Amanullah Khan in the early 20th century just before the Third Anglo-Afghan War. King Amanullah fought against the British in 1919, resulting in Afghanistan becoming fully independent after the Treaty of Rawalpindi was signed. It appears from reports of Naib Sular Abdur Rahim's career that a Cavalry Division was in existence in the 1920s, with him being posted to the division in Herat Province in 1913 and Mazar-i-Sharif after 1927. The Afghan Army was expanded during King Zahir Shah's reign, starting in 1933. In 1953, Lieutenant General Mohammed Daoud, cousin of the King who had previously served as Minister of Defence, was transferred from command of the Central Corps in Kabul to become Prime Minister of Afghanistan. Periodic border clashes with Pakistan seem to have taken place between 1950 and 1961. From 1949 to 1961, Afghanistan-Pakistan skirmishes took place along the frontier, culminating in fighting in Bajaur Agency in September 1960. This led to a breakoff in diplomatic relations between the two countries in September 1961. From the 1960s to the early 1990s, the Afghan Army received training and equipment mostly from the Soviet Union. In February - March 1957, the first group of Soviet military specialists (about 10, including interpreters) was sent to Kabul to train Afghan officers and non-commissioned officers. At the time, there seems to have been significant Turkish influence in the Afghan Armed Forces, which waned quickly after the Soviet advisors arrived. In the early 1970s, Soviet military assistance was increased. The number of Soviet military specialists increased from 1,500 in 1973 to 5,000 by April 1978. The senior Soviet specialist at this time (from 29.11.1972 till 11.12.1975) was a Major General I.S. Bondarets (И.С. Бондарец), and from 1975 to 1978, the senior Soviet military adviser was Major General L.N. Gorelov. Before the 1978 Saur Revolution, according to military analyst George Jacobs, the Army included "some three armored divisions (570 medium tanks plus T 55s on order), eight infantry divisions (averaging 4,500 to 8,000 men each), two mountain infantry brigades, one artillery brigade, a guards regiment (for palace protection), three artillery regiments, two commando regiments, and a parachute kandak (battalion), which was largely grounded. All the formations were under the control of three corps level headquarters. All but three infantry divisions were facing Pakistan along a line from Bagram south to Khandahar." On 27 April 1978 the People's Democratic Party of Afghanistan, led by Nur Mohammad Taraki, Babrak Karmal and Amin overthrew the regime of Mohammad Daoud, who was killed the next day, along with most of his family. The uprising was known as the Saur Revolution. On 1 May, Taraki became President, Prime Minister and General Secretary of the PDPA. The country was then renamed the Democratic Republic of Afghanistan (DRA), and the PDPA regime lasted, in some form or another, until April 1992. After the PDPA seizure of power, desertions swept the force, affecting the loyalty and moral values of soldiers. There were purges on patriotic junior and senior officers, and upper class Afghan aristocrats in society. On March 15, 1979, the Herat uprising broke out. The 17th Division (probably part of the 2nd Corps at Kandahar) was detailed by the regime to put down the rebellion, but this proved a mistake, as there were few Khalqis in the division and instead it mutinied and joined the uprising. Forces from Kabul had to be dispatched to suppress the rebellion. Gradually the Army's three armoured divisions and now sixteen infantry divisions dropped in size to between kandak and regiment sized, with no formation stronger than about 5,000 troops. It is not clear whether the three armoured formations were brigades or divisions: different authoritative sources give both designations. One of the first series of defections occurred in the 9th Division, which, Urban wrote, defected by brigades in response to the Soviet intervention. It lost its 5th Brigade at Asmar in August 1979 and its 30th Mountain Brigade in 1980. After Soviet advisors arrived in 1977, they inspired a number of adaptations and reorganisations. In April 1982, the 7th Division was moved from the capital. The division, which was commanded by Khalqi Major General Zia-Ud-Din, had its depleted combat resources spread out along the Kabul-Kandahar highway. In 1984–1985, all infantry divisions were restructured to a common design. In 1985 Army units were relieved of security duties, making more available for combat operations. During the 1980s Soviet–Afghan War, the Army fought against the mujahideen rebel groups. Deserters or defectors became a severe problem. The Afghan Army's casualties were as high as 50–60,000 soldiers and another 50,000 soldiers deserted the Army. The Afghan Army's defection rate was about 10,000 soldiers per year between 1980 and 1989; the average deserters left the Afghan Army after the first five months. Local militias were also important to the Najibullah regime's security efforts. From 1988 several new divisions were formed from former Regional Forces/militias' formations: the 53rd Infantry Division, 55th, 80th, 93rd, 94th, 95th, and 96th, plus, possibly, a division in Lashkar Gah. As compensation for the withdrawal of Soviet troops in 1989, the USSR agreed to deliver sophisticated weapons to the regime, among which were large quantities of Scud surface-to-surface missiles. The first 500 were transferred during the early months of 1989, and soon proved to be a critical strategic asset. During the mujahideen attack against Jalalabad, between March and June 1989, three firing batteries manned by Afghan crews advised by Soviets fired approximately 438 missiles. Soon Scuds were in use in all the heavily contested areas of Afghanistan. After January 1992, the Soviet advisors were withdrawn, reducing the Afghan Army's ability to use their ballistic missiles. On April 24, 1992, the mujahideen forces of Ahmad Shah Massoud captured the main Scud stockpile at Afshur. As the communist government collapsed, the few remaining Scuds and their TELs were divided among the rival factions fighting for power. However, the lack of trained personnel prevented a sustained use of such weapons, and, between April 1992 and 1996, only 44 Scuds were fired in Afghanistan. In spring 1992, the Afghan Army consisted of five corps - 1st Corps at Jalalabad, 2nd at Khandahar, 3rd Corps at Gardez, 4th Corps at Herat, and 6th Corps at Kunduz - as well as five smaller operations groups, including one at Charikar, which had been 5th Corps until it was reduced in status. 1st, 2nd, and 3rd Corps, and the operations groups at Sarobi and Khost, nearly completely disintegrated in 1992. Formations in and around Kabul joined different mujahideen militias while forces in the north and west remained intact for a longer period. Forces in the north and west were taken over by three major commanders: Ismael Khan, Ahmed Shah Masoud, and Abdul Rashid Dostam. On 18 April 1992, the PDPA garrison at Kunduz surrendered to local mujahideen commanders. The 54th Division base at Kunduz was handed over to the overall military leader of Ittehad in the area, Amir Chughay. Dostum and commanders loyal to him formed Junbesh I-Melli, the National Islamic Movement of Afghanistan. It grouped the former regime's 18th, 20th, 53rd, 54th, and 80th Divisions, plus several brigades. By mid-1994 there were two parallel 6th Corps operating in the north. Dostum's 6th Corps was based at Pul-i-Khumri and had three divisions. The Defence Ministry of the Kabul government's 6th Corps was based at Kunduz and also had three divisions, two sharing numbers with formations in Dostum's corps. By 1995 Masoud controlled three corps commands: the Central Corps at Kabul, the best organised with a strength of 15-20,000, the 5th Corps at Herat covering the west, and the 6th Corps at Kunduz covering the northeast. The army (as a state institution, organized, armed, and commanded by the state) does not exist in Afghanistan today. Neither the Taliban-led "Islamic Emirate of Afghanistan" nor the "Islamic State of Afghanistan" headed by the ousted President Rabbani has the political legitimacy or administrative efficiency of a state. The militia formations they command are composed of odd assortments of armed groups with varying level of loyalties, political commitment, professional skills, and organizational integrity. Many of them feel free to switch sides, shift loyalties, and join or leave the group spontaneously. The country suffers from the absence of a top political layer capable of controlling individual and group violence. ... Although both sides identify their units with military formations of the old regime, there is hardly any organizational or professional continuity from the past. But these units really exist in name only ... [i]n fact only their military bases still exist, accommodating and supporting an assortment of militia groups. Formations in existence by the end of 2002 included the 1st Army Corps (Nangarhar), 2nd Army Corps (Kandahar, dominated by Gul Agha Sherzai), 3rd Army Corps (Paktia, where the US allegedly attempted to impose Atiqullah Ludin as commander), 4th Army Corps (Herat, dominated by Ismail Khan), 6th Army Corps at Kunduz, 7th Army Corps (under Atta Muhammad Nur at Balkh), 8th Army Corps (at Jowzjan, dominated by Dostum's National Islamic Movement of Afghanistan) and the Central Army Corps around Kabul. In addition, there were divisions with strong links to the centre in Kabul. These included the 1st in Kabul, 27th in Qalat, 31st in Kabul, 34th in Bamiyan (4th Corps), 36th in Logar, 41st in Ghor, 42nd in Wardak, 71st in Farah, and 100th in Laghman. New divisions and even army corps were created to recognise factional realities or undermine the power base of individual commanders, often without regard to the troop levels normally associated with such units. For example, the ministry in July 2002 recognised a 25th Division in Khost province, formed by the Karzai-appointed governor, Hakim Taniwal, to unseat a local warlord, Padshah Khan Zadran, who was then occupying the governor's residence. At its inception, however, the division had only 700 men – the size of a battalion. Even by December 2004 Human Rights Watch was still saying in an open letter to Karzai that: "Abdul Rabb al-Rasul Sayyaf, the head of the Ittihad-i Islami faction and the Daw'at-e Islami party [should be curbed]. Sayyaf has no government post but has used his power over the Supreme Court and other courts across the country to curtail the rights of journalists, civic society activists, and even political candidates. He also controls militias, including forces recognized as the 10th Division of the Afghan army, which intimidate and abuse Afghans even inside Kabul. We ask that you express public opposition to Sayyaf's activities, explicitly state your opposition to such misuse of unofficial authority, and move expeditiously to disarm and demobilize armed forces associated with Ittihad-i Islami and other unofficial forces." The Afghan National Army was founded with the issue of a decree by President Hamid Karzai on December 1, 2002. Upon his election Karzai set a goal of an Army of at least 70,000 soldiers by 2009. However, many western military experts as well as the Afghan Defense Minister, Abdul Rahim Wardak, believed that the nation needed at least 200,000 active troops in order to defend it from enemy forces. The first new Afghan kandak (battalion) was trained by British Army personnel of the International Security Assistance Force (ISAF), becoming 1st Kandak, Afghan National Guard. Yet while the British troops provided high quality training, they were few in number. After some consideration, it was decided that the United States might be able to provide the training. Thus follow-on kandaks were recruited and trained by 1st Battalion, 3rd Special Forces Group. 3rd SFG built the training facilities and ranges for early use, using a Soviet built facility on the eastern side of Kabul, near the then ISAF headquarters. The first training commenced in May 2002, with a difficult but successful recruitment process of bringing hundreds of new recruits in from all parts of Afghanistan. Training was initially done in Pashto and Dari (Persian dialect) and some Arabic due to the very diverse ethnicities. The first female Afghan parachutist Khatol Mohammadzai, trained during the 1980s, became the first female general in the Afghan National Army in August 2002. The first deployment outside Kabul was made by 3rd Kandak, ANA to Paktika Province, including Orgun, in January 2003. By January 2003 just over 1,700 soldiers in five Kandaks (battalions) had completed the 10-week training course, and by mid-2003 a total of 4,000 troops had been trained. Approximately 1,000 ANA soldiers were deployed in the US-led Operation Warrior Sweep, marking the first major combat operation for Afghan troops. Initial recruiting problems lay in the lack of cooperation from regional warlords and inconsistent international support. The problem of desertion dogged the force in its early days: in the summer of 2003, the desertion rate was estimated to be 10% and in mid-March 2004, an estimate suggested that 3,000 soldiers had deserted. Some recruits were under 18 years of age and many could not read or write. Recruits who only spoke the Pashto language experienced difficulty because instruction was usually given through interpreters who spoke Dari. The Afghan New Beginnings Programme (ANBP) was launched on 6 April 2003 and begin disarmament of former Army personnel in October 2003. In March 2004, fighting between two local militias took place in the western Afghan city of Herat. It was reported that Mirwais Sadiq (son of warlord Ismail Khan) was assassinated in unclear circumstances. Thereafter a bigger conflict began that resulted in the death of up to 100 people. The battle was between troops of Ismail Khan and Abdul Zahir Nayebzada, a senior local military commander blamed for the death of Sadiq. Nayebzada commanded the 17th Herat Division of the Afghan Militia Forces' 4th Corps. In response to the fighting, about 1,500 newly trained ANA soldiers were sent to Herat in order to bring the situation under control. Beyond the fighting kandaks, establishment of regional structures began when four of the five planned corps commanders and some of their staff were appointed on 1 September 2004. The first regional command was established in Kandahar on September 19; the second at Gardez on September 22, with commands at Mazar-i-Sharif and Herat planned. The Gardez command, also referred to in the AFPS story as the 203 Corps, was to have an initial force of 200 soldiers. Kandahar's command was the first activated, followed by Gardez and Mazar-e-Sharif. The Herat command was seemingly activated on 28 September. The next year, the ANA's numbers grew to around 20,000 soldiers, most of which were trained by forces of the United States. In the meantime, the United States Army Corps of Engineers (USACE) had started building new military bases for the fast-growing ANA. Determining ANSF strength is fraught with challenges. U.S. and coalition forces rely on the Afghan forces to report their own personnel strength numbers. Moreover, the Combined Security Transition Command-Afghanistan (CSTC-A) noted that, in the case of the Afghan National Army, there is "no viable method of validating [their] personnel numbers." SIGAR will continue to follow this issue to determine whether U.S. financial support to the ANSF is based on accurately reported personnel numbers. Despite the strong Taliban insurgency and the many other problems that Afghanistan faces, the ANA has been steadily expanding over the years. By early 2013, reports stated that there were 200,000 ANA troops. They are being trained by the International Security Assistance Force under NATO Training Mission-Afghanistan. An increasing number of female soldiers are also joining the ANA. Under the U.S.–Afghanistan Strategic Partnership Agreement, the United States designated Afghanistan as a major non-NATO ally and agreed to fund the ANA until at least 2024. This includes soldiers' salaries, providing training and weapons, and all other military costs. Soldiers in the Army initially received $30 a month during training and $50 a month upon graduation, though the basic pay for trained soldiers has since risen to $165. This starting salary increases to $230 a month in an area with moderate security issues and to $240 in those provinces where there is heavy fighting. About 95% of the men and women serving in the military are paid by electronic funds transfer. Special biometrics are used during the registration of each soldier. ANA soldiers of the 209th Corps prepare for upcoming joint operations against insurgents in Baghlan province. ANA troops from the 31st and 33rd Kandak execute a departure for Operation Valley flood in January 2012. ANA soldiers, from the 4th Kandak, 2nd Brigade, 203rd Corps, fire a D30 howitzer during a live-fire certification. Having successfully certified, the battery will now reposition to Forward Operating Base Orgun-E, Paktika province, to support operations along the Pakistani border. Following the crash of Kam Air Flight 904 in 2005, ISAF made numerous unsuccessful helicopter rescue attempts. ANA soldiers also searched for the plane. The Ministry of Defense ordered the ANA's Central Corps to assemble a team to attempt a rescue of victims presumed to be alive. The crash site was at an altitude of 11,000 feet (3,400 m) on the peak of the Chaperi Mountain, 20 miles (32 km) east of Kabul. In March 2007, the ANA captured a senior Taliban leader known as Mullah Mahmood near Kandahar. Mahmood was suspected of organizing suicide attacks in Kandahar province. More than forty-nine Taliban fighters were killed in one of the independent operations carried out by the Afghan National Security Forces. In a March 2007 rescue operation, the Afghan forces deployed their Mi-8 helicopters and evacuated flood victims in the Ghorban district of Parwan province. Afghan soldiers safely evacuated 383 families to safer places. In the same month, an Afghan-Pakistani border skirmish was reported near the Durand Line border but resulted in no casualties. The ANA began small independent operations which were expanded to large-scale operations in spring 2009. From 2009 to mid-2013, there have been hundreds of NATO-led Afghan operations against militant groups across Afghanistan, some of which were small while others were major. On October 9, 2018 a spokesman for Afghan police in Kabul said in an attack in the northern province of Jawazin by Taliban 12 Afghan soldiers were killed and 10 others wounded. The ANA, alongside ISAF, successfully engaged Taliban extremist strongholds. This operation was launched on March 6, 2007, to stabilize northern Helmand Province. This would enable reconstruction work to start. After 10 months in Taliban hands, the town of Musa Qala was retaken by ANA backed by ISAF and coalition support. Taliban insurgents had scattered mostly to the north. Operation Panchai Palang, or Operation Panther's Claw, was a UK-led military operation in Helmand Province. Afghan and ISAF contributed a total of 3,000 soldiers for the operation. The alliance targeted Taliban insurgents involved in the drug trade. The battle ran simultaneously with the U.S.-Afghan Operation Strike of the Sword. ANA artillerymen fired multiple D-30 artillery pieces during a night mission at Patrol Base Sorkh Bid during Exercise Eagle's Flight. The ANA's 4th Brigade were a step closer to deploying gun detachments outside Coalition Patrol Bases after a successful live fire artillery shoot during July 2012. Exercise Eagle's Flight showcased the improving capability of the 2nd Battery, or Canon Tolay, as they fired high explosive, smoke and illumination rounds onto a designated target area near Patrol Base Sorkh Bid, northern Kandahar. 3rd Battalion, the Royal Australian Regiment Task Group (3 RAR TG) offensive support mentor Captain Raj Chetty said the ANA has been efficiently protecting the locals for a long time. "The battery was well educated and trained before we arrived, and they are at a stage now that [shows] they are ready to deploy, we are just doing final assessments before they go out there." Operation Strike of the Sword or Operation Khanjar began when units moved into the Helmand river valley in the early hours of July 2, 2009. About 4,000 Marines from the 2nd Marine Expeditionary Brigade as well as 650 Afghan soldiers were involved, supported by ISAF aircraft. The operation was also the largest airlift offensive since the Vietnam War. Newly trained ANA soldiers recite the oath ceremony of the first term bridmals (NCOs) at the Ghazi Military Training Center in Kabul province. Maj. A. Wahid Naiz (center right), a pharmacist with the ANA Medical General Support Unit, and his assistant (far right) issue an ANA soldier prescribed medication during his visit to the clinic in Pawawan province. ANA soldier assigned to the Mobile Strike Force Kandak fires an RPG-7 rocket-propelled grenade launcher during a live-fire exercise supervised by the Marines with the Mobile Strike Force Advisor Team on Camp Shorabak, Helmand province. Various International Security Assistance Force and Operation Enduring Freedom - Afghanistan contributing countries have undertaken different responsibilities in the creation of the ANA. All these various efforts are managed on the Coalition side by Combined Security Transition Command - Afghanistan (CSTC-A), a three-star level multi-national command headquartered in downtown Kabul. On the ANA side, as of July 2006[update] all training and education in the Army is managed and implemented by the newly formed Afghan National Army Training Command (ANATC), a two-star command which reports directly to the Chief of the General Staff. All training centers and military schools are under ANATC HQ. The coalition forces are partnered with the ANA to mentor and support formal training through Task Force Phoenix. This program was formalized in April 2003, based near the Kabul Military Training Center coordinating collective and individual training, mentoring, and Coalition Force support. During the ISAF era, advisers in US ETTs (Embedded Training Teams) or NATO OMLTs (Operational Mentor and Liaison Team) acted as liaisons between the ANA and ISAF. The ETTs and OMLTs coordinated operational planning and ensured that the ANA units received enabling support. Individual basic training is conducted primarily by Afghan National Army instructors and staff at ANATC's Kabul Military Training Center, situated on the eastern edge of the capital. The ANA are still supported, however, with various levels of CSTC-A oversight, mentorship, and assistance. The U.S. Armed Forces assists in the basic and advanced training of enlisted recruits, and also runs the Drill Instructor School which produces new training NCOs for the basic training courses. Basic training has been expanded to include required literacy courses for recruits who don't already know how to read. A French Army advisory team oversees the training of officers for staff and platoon or toli (company) command in a combined commissioning/infantry officer training unit called the Officer Training Brigade, also located at Kabul Military Training Center. OTB candidates in the platoon- and toli- command courses are usually older former militia and mujaheddin leaders with various levels of military experience. The United Kingdom also conducts initial infantry officer training and commissioning at the Officer Candidate School. While OCS is administratively under OTB's control, it is kept functionally separate. OCS candidates are young men with little or no military experience. The British Army also conduct initial and advanced Non-Commissioned Officer training as well in a separate NCO Training Brigade. The Canadian Forces supervise the Combined Training Exercise portion of initial military training, where trainee soldiers, NCOs, and officers are brought together in field training exercises at the platoon, toli (company) and kandak (battalion) levels to certify them ready for field operations. In the Regional Corps, line ANA kandaks have attached Coalition Embedded Training Teams that continue to mentor the kandak's leadership, and advise in the areas of intelligence, communications, fire support, logistics and infantry tactics. Formal education and professional development is currently conducted at two main ANATC schools, both in Kabul. The National Military Academy of Afghanistan, located near Kabul International Airport, is a four-year military university, which will produce degreed second lieutenants in a variety of military professions. NMAA's first cadet class entered its second academic year in spring 2006. A contingent of US and Turkish instructors jointly mentor the NMAA faculty and staff. The Command and General Staff College, located in southern Kabul, prepares mid-level ANA officers to serve on brigade and corps staffs. France established the CGSC in early 2004, and a cadre of French Army instructors continues to oversee operations at the school. A National Defense University will also be established at a potential site in northwestern Kabul. Eventually all initial officer training (to include the NMAA) as well as the CGSC will be re-located to the new NDU facility. According to Lieutenant Colonel Kane Mangin of the Australian-led International Artillery Training Team, the ANA Artillery Training School in Kabul is expected to train enough officers and NCOs for about 23 artillery batteries, using the D-30 howitzers of the ANA Artillery Branch. Sizable numbers of Afghan National Army Officers are sent to be trained in India either at the Indian Military Academy in Dehradun, the National Defence Academy near Pune or the Officers Training Academy in Chennai. The Indian Military Academy which has been in existence since 1932, provides a 4-year degree to army officers, while the National Defence Academy is a tri-service college provides a 3-year degree after which officers undergo a 1-year specialization in their respective service colleges. The Officers Training Academy on the other hand provides a 49-week course to Graduate officer candidates. In 2014 the number of Afghan officers in training in India was nearly 1100. A total of 1200 Afghan officers have been trained up to 2013. According to a 2009 news report, the Afghan National Army was plagued by inefficiency and corruption. U.S. training efforts have been drastically slowed by the corruption, widespread illiteracy, vanishing supplies, and lack of discipline. Jack Kem, deputy to the commander of NATO Training Mission Afghanistan and Combined Security Transition Command Afghanistan, stated that the literacy rate in the ANA will reach over 50% by January 2012. What began as a voluntary literacy program became mandatory for basic training in early 2011. Another significant problem for the Afghan National Army is a high level of drug abuse amongst its soldiers. The Special Investigator General for Afghan Reconstruction reported the number of ANA soldiers using drugs was "at least 50 percent" and may be as high as 75 percent of all Afghan soldiers, according to some reports. It was reported in 2009 that in one new, untried, unit in Baghlan Province, some soldiers have been found cowering in ditches rather than fighting. Some were suspected of collaborating with the Taliban against NATO or engaging in reciprocal exchanges on offensives or unsanctioned psychological warfare through boasts or using their knowledge to communicate with friends or family in the battlezone. "They don't have the basics, so they lay down," said Capt. Michael Bell, who is one of a team of U.S. and Hungarian mentors tasked with training Afghan soldiers. "I ran around for an hour trying to get them to shoot, getting fired on. I couldn't get them to shoot their weapons.". For example, in multiple firefights during the February 2010 NATO offensive in Helmand Province, many Afghan soldiers did not aim — they pointed their M16 rifles in the rough direction of the incoming small-arms fire and pulled their triggers without putting rifle sights to their eyes. Their rifle muzzles were often elevated several degrees high. During the battle for Combat Outpost Keating in October 2009, ANA troops ran away, hid under their beds, and stole from the American barracks. Desertion remains a problem. One in every four combat soldiers quit the army during the 12-month period ending in September 2009, according to data from the U.S. Defense Department and the Special Inspector General for Afghanistan Reconstruction. The problem was so severe that the Army was forced to write off 2,000 soldiers and officers in a usual month. In order to filter potential deserters from the rank, some of the soldiers are trained by being deployed in real operations. According to NATO statistics, the attrition rate averaged 32 per cent annually over the 12 months that ended in November 2011. In December 2011, The Globe and Mail stated that due to problems with officers calculating the number of soldiers within their own ranks, "one educated guess at the true size of the Afghan army puts the force at perhaps 100,000 personnel on duty". A study published in the U.S. professional journal Military Review in 2009 estimated the ANA could never grow larger than 100,000 men, because it is currently losing 42% of the entire force every year to desertion and non-reenlistment. In December 2011 Mohammad Zahir Azimi, spokesman of the Ministry of Defense, said the ANA numbered 180,000 soldiers, which is expected to reach at least 240,000 soldiers in the coming years. According to statements made by Colonel Thomas McGrath in October 2007, the coalition supporting the build-up of the ANA has seen progress and is pleased with the Afghan performance in recent exercises. McGrath estimated that the ANA should be capable of carrying out independent brigade-size operations by the spring of 2008. However, as of October 1, 2011, four years after McGrath's estimated date for independent brigade-size operations, not a single one of the ANA's 180 kandaks can carry out independent operations, much less an entire brigade. According to a 2009 news report, the ANA has been plagued by inefficiency and corruption. Training efforts have been drastically slowed by the corruption, widespread illiteracy, vanishing supplies, and lack of discipline. According to the United States Government Accounting Office, the illiteracy problem has been a major contributing factor to the ongoing shortage of non-commissioned officers, and of enlisted men trained in technical skills, because according to the report, these positions require greater literacy. General John Allen stated in 2013 that more than 50% of the ANA can read and write at a first grade level. What began as a voluntary literacy program became mandatory for basic army training in early 2011. In some cases, US trainers have reported missing vehicles, weapons and other military equipment, and outright theft of fuel provided by the U.S. Death threats have also been leveled against some U.S. officers who tried to stop Afghan soldiers from stealing. Some Afghan soldiers often find improvised explosive devices and snip the command wires instead of marking them and waiting for U.S. forces to come to detonate them. The Americans say this just allows the insurgents to return and reconnect them. US trainers frequently had to remove the cell phones of Afghan soldiers hours before a mission for fear that the operation will be compromised by bragging, gossip and reciprocal warnings. In other cases NATO trainers spent large amounts of time verifying that Afghan rosters are accurate – that they are not padded with "ghosts" being "paid" by Afghan commanders who quietly collected the bogus wages. Germany alleged that the US military took 15% of €50 million the German government gave to a trust fund to build up the ANA. According to Marin Strmecki, a member of the Defense Policy Board and a former top Pentagon adviser on Afghanistan in a speech to the United States Senate, "the Afghan Army should increase to 250,000 soldiers ... Only when Afghan security forces reaches those numbers would they achieve the level necessary for success in counterinsurgency." In 2009, U.S. President Barack Obama called for an expansion of the Afghan National Army to 260,000 soldiers. The cost would reach $20 billion and provide the army with more modern equipment. Sales of US Arms to Afghanistan alone totaled nearly $20 billion for fiscal years 2009 through 2011. As of mid-2012, a steadily increasing concern over the past couple of years, while still not reflective of the readiness and state of Afghan forces and police as a whole, are the deaths of U.S. and coalition forces at the hands of Afghan forces. These individuals are either Taliban or other militant infiltrators, disaffected or disturbed soldiers, turncoats, or who were disturbed by perceived and/or actual improper conduct by coalition forces. It has worsened enough to the point where two decrees were issued by the Defense Department in the summer of 2012 stating that all American personnel serving in Afghanistan are told to carry a magazine with their weapon at all times, and that when a group of American troops is present and on duty and Afghan forces are also present, one American serviceman must stand apart on guard with a ready weapon. On July 30, 2013, U.S. Acting Assistant Secretary of Defense Peter Lavoy told reporters in Washington D.C., according to Jane's Defence Weekly, that '... a residual [U.S.] force would be needed to help the ANSF complete more mundane tasks such as logistics, ensuring soldiers get their paychecks, procuring food, awarding fuel contracts, and more.' Lavoy noted that the Afghans are still developing those skills and it will be "well beyond the 2014 date" before they are expected to be capable. A January 2011 NATO Training Mission-Afghanistan information paper described the ANA as being led by the Chief of General Staff, supervising the Vice Chief of the General Staff, the Vice Chief of the Armed Forces (an Air Force officer), the Director of the General Staff, himself supervising the General Staff itself, and seven major commands. The ANA Ground Force Command, under a lieutenant general, directed the five ground forces corps and the 111th Capital Division. The other six commands included the ANA Special Operations Command, Army Support Command, the ANA Recruiting Command (ANAREC), the HSSB, and the Detainee Guard Force. Amongst support facilities is the Chimtallah National Ammunition Depot, a Central Ammunition Depot. The basic unit in the Afghan National Army is the kandak (battalion), consisting of 600 troops. Kandaks may be further broken down into four toli (company). Although the vast majority of kandaks are infantry, at least one mechanized and one tank kandak have been formed; more may be planned. Every ANA Corps was assigned commando kandaks. As of September 2005[update], 28 of the 31 Afghan National Army kandaks were ready for combat operations and many had already participated in them. At least nine brigades were planned at this time, each consisting of six kandaks. By March 2007, half of the ANA had been achieved with 46 of the planned 76 Afghan kandaks operating in the fore or in concert with NATO forces. Seven Quick Reaction Forces (QRF) kandaks were created in 2012-13, one kandak for each of the ANA's corps and divisions. They are being created by converting existing infantry kandaks into QRF kandaks at the NMAA Armour Branch School. The QRF kandaks were trained and fielded in 2012 and 2013. The QRF kandaks were the first major ANA users of armoured vehicles. A total of 14 regionally oriented brigades were planned for 2008. According to Combined Security Transition Command - Afghanistan (CSTC-A) thirteen of these brigades were to be infantry, one to be mechanized and one was a commando. Currently the Afghan National Army maintains seven corps; each corps is responsible for one major area of the country. Each corps has three to four subordinate brigades, and each brigade has four infantry kandaks (battalions) as its basic fighting units. Each infantry kandak is assigned a specific area for which it is responsible; the kandak's mission is to secure its area from internal and external threats. Originally, the four outlying corps were assigned one or two brigades, with the majority of the manpower of the Army based in Kabul's 201st Corps. This was superseded by a buildup in which each corps added extra brigades. Establishment of the corps started when four regional corps commanders and some of their staff were appointed in September 2004. 201st Corps (Kabul) – 1st Brigade is at the Presidential Palace. 3rd Brigade, at Pol-e-Chakri, is to be a mechanised formation including M-113s and Soviet-built main battle tanks. Later information from LongWarJournal.org places most of the 3rd Brigade at Jalalabad, Second Brigade at Pol-e-Charkhi, and only a single kandak of First Brigade at the Presidential Palace. The corps is charged with operation in eastern Afghanistan, including Kabul, Logar, Kapisa, Konar, and Laghman. Its battlespace includes the Afghan capital of Kabul as well as vital routes running north and south, and valleys leading from the Pakistani border into Afghanistan. Currently the Third Brigade of the 201st Corps is the only unit that has control of an area of responsibility in Afghanistan without the aid or assistance of U.S. or coalition forces for its command system. 203rd Corps (Gardez) The original Gardez Regional Command was established on 23 September 2004. As of 2009, First Brigade, Khost, Second Brigade, Forward Operating Base Rushmore, Sharana, Paktika Province, Third Brigade, Ghazni. On 19 Oct 2006, as part of Operation Mountain Fury, two ETTs (Embedded Training Teams) mentored and advised a D30 artillery section from Fourth Kandak, Second Brigade, 203rd Corps, to conduct the first artillery missions during combat operations with harassment and indirect fires. Three days later, they successfully conducted counterfire (with assistance from a US Q-36 radar) that resulted in ten enemy casualties, the highest casualties inflicted from artillery fire in ANA history. The corps is supported by the Gardez Regional Support Squadron of the AAF, equipped with 8 helicopters: 4 transport to support the corps' commando kandak, two attack, and two medical transport. 205th Corps (Kandahar) – has the responsibility for the provinces of Kandahar, Zabul, and 4th Brigade Urozgan under Brigadier General Zafar Khan's control. It consists of four brigades, a commando kandak and three garrisons. The corps has integrated artillery and airlift capacity, supplied by a growing Kandahar Wing of the Afghan Air Force. 207th Corps (Herat) – 1st Brigade at Herat, 2nd Brigade at Farah, and elements at Shindand (including commandos). The corps is supported by the Herat Regional Support Squadron of the AAF, equipped with eight helicopters: four transport to support the corps' commando kandak, two attack, and two medical transport aircraft. 209th Corps (Mazar-i-Sharif) – Works closely with the German-led Regional Command North, and has 1st Brigade at Mazar-i-Sharif and, it appears, a Second Brigade forming at Kunduz. An Army Corps of Engineers solicitation for Kunduz headquarters facilities for the Second Brigade was issued in March 2008. The corps is supported by the Mazar-i-Sharif Regional Support Squadron of the AAF, equipped with eight helicopters: four transport to support the Corps' commando kandak, two attack, and two medical transport helicopters. In October 2015, as a response to the fall of Kunduz, reports came that a new division would be formed in the area. 215th Corps (Lashkar Gah) – The Afghan government has approved a new seventh corps of the Afghan National Army – Corps 215 Maiwand – to be based in the Helmand capital of Lashkar Gah where the first fresh U.S. troops are expected to arrive. The 215th is a new unit, developed specifically to partner with the Marine Expeditionary Brigade in Helmand. On 28 January 2010, Xinhua reported that General Sayed Mallok would command the new corps. (Military Corps formed to strengthen security in Taliban hotbed) The corps will cover all parts of Helmand, half of Farah and most parts of southwestern Nimroz province. The corps was formally established on 1 April 2010. 1st Bde, 215th Corps, is at Garmsir, partnered with a USMC Regimental Combat Team. Elements of 2nd Brigade, 215th Corps, have been reported at Forward Operating Base Delaram, Farah Province. 3rd Bde, 215th Corps, partnered with the UK Task Force Helmand is at Camp Shorabak. In late 2008 it was announced that the 201st Corps' former area of responsibility would be divided, with a Capital Division being formed in Kabul and the corps concentrating its effort further forward along the border. The new division, designated the 111th Capital Division, became operational in April 2009. It has a First Brigade and Second Brigade (both forming) as well as a Headquarters Special Security Brigade. From mid-2011, the ANA began establishing a ANA Special Operations Command (ANASOC) to control the ANA Commando Brigade and the ANA Special Forces. It is headquartered at Camp Moorehead in Wardak Province, located six miles south of Kabul. In July 2012, the Special Operations Command was officially established as a division-sized special operations force formation, including a command and staff. The command, with the status of a division, now boasts between 10,000 and 11,000 special operations soldiers. Previously this was organised as one brigade with 8 kandaks, all with a minimum of 6 companies. Due to the standard size of a brigade in the ANA, the ANASOC is likely to be split into 3 - 4 brigades, one of which will be a Special Forces Brigade. ANASOC now has an attached Air Force Special Mission Wing which was inaugurated in July 2012. Afghan commandos from the Sixth Commando Kandak wait for two Mi-17 helicopters of the Afghan Air Force (AAF) to land as they practice infiltration techniques at Camp Morehead in the outer regions of Kabul. In July 2007 the ANA graduated its first commandos. The commandos underwent a grueling three-month course being trained by American Special Operations Forces. They received training in advanced infantry skills as well as training in first aid and tactical driving. They are fully equipped with U.S. equipment and have received American special operations training. By the end of 2008, the six ANA commando kandaks were to be stationed in the southern region of Afghanistan assisting the Canadian forces. As of 2017, the commando brigade grew into corps size with 21,000 commandos, with their number eventually reaching 30,000 commandos. ANA commando force comprises only seven percent of the Afghan National Defense and Security Forces, but they do 70 percent to 80 percent of the fighting. The ANA Special Forces were first conceptualized in 2009 and established in 2010. The first Special Forces team, whose soldiers were selected from the ANA Commandos, finished training in May 2010. The organization is based on U.S. Army Special Forces. Initially all the Special Forces candidates were planned to come from the Commando Kandak (Commando Battalion), only requiring 10 weeks of training. However, after the initial period it was planned that Special Forces recruiting was to be conducted throughout the Army, and initial Special Forces training was to be 15 weeks. Commando graduates of the special forces course will retain their 'commando' tab and will also have a 'special forces' tab on top of the commando tab and they also receive a tan beret. These candidates are normally selected after serving four years as a Commando. They were attached to teams of U.S. Special Forces operating in Kandahar province in the 2010 operation. In May 2010 the first class of the ANA Special Forces graduated from their 10-week qualification course and moved on to the operational portion of their training. In November 2010, the ANA Special Forces Class 1 received their tan berets in a ceremony at Camp Morehead, Kabul Province, after completing 26 weeks of on-the-job training partnered with U.S. Special Forces. The initial selection involved taking the 145 commandos who volunteered, putting them through a one-week qualification process (similar to the one used in the United States), and finding, as in the U.S., that only about half (69) passed. These Special Forces operators formed the first four A-Teams (of 15 men each). Some of them who passed the 1st are being used to help U.S. Special Operations Forces train the 2nd class of candidates. Special Forces soldiers are trained to focus on interaction with the population through jirgas with village elders, but capable of unilateral operations. A second ANA Special Forces class completed training in December 2010. The force numbered between 1,000 and 1,500 Special Forces operators in December 2011. This unit also has female Special Forces operators to interact with female civilians, such as searches, interviews or medical examinations. There are plans to create one Special Forces platoon of just female operators so they can talk to families (women and children). As the ANA has grown to almost its full size the focus has now changed to further development of the force so that it becomes self sustainable. Development of the ANA Combat Support Organizations, the Corps Logistics Kandaks, or Combat Logistics Battalions, (CLK) and the Combat Support Kandaks, or Combat Support Battalions, (CSK) is vital to self-sustainability. Combat Support Kandaks (CSK) provide specialized services for infantry kandaks. While most ANA kandaks have a CSK they are underdeveloped and do not fit the requirements of a growing army. The CSK role includes motor fleet maintenance, specialized communications, scouting, engineering, and long range artillery units. Eventually one fully developed CSK will be assigned to each of the 24 ANA Combat Brigades. Each CSK includes an Intelligence toli (company) called a Cashf Tolai. Each Intelligence toli is responsible for collecting information about the surrounding area and Taliban activities. The members of the unit interact closely with the local residents in an effort to deny the enemy control over the surrounding area. In order to enable the ANA to be self-sufficient, brigades will form a Corps Logistics Kandaks (CLK) which will be responsible to providing equipment to the 90 infantry kandaks. The CSK will be responsible for the maintenance of the new heavier equipment including APCs. In the 215th Corps area, the U.S. Marine Combat Logistics Battalion 1 announced in January 2010 that the training of the ANA 5th Kandak, 1st Brigade, 215th ANA Corps Logistics Kandak has gone very well and that the unit was capable of undertaking the majority of day-to-day activities on their own. In 2003, the United States issued special guidelines to ensure ethnic balance in the ANA. By late 2012, the ANA was composed of 43% Pashtuns, 32% Tajiks, 12% Hazaras, 8% Uzbeks, and the rest were smaller ethnic groups of Afghanistan. However, the army does not track the actual ethnic composition of the officer corps, so it's difficult to know if the quotas are really filled. There are no quotas for the enlisted soldiers. Since the early 1970s, the Afghan Army has been equipped with the Soviet AK-47 as its main service rifle. Today, however, the American M16 rifle is added to usage with the AK-47. As a major non-NATO ally of the United States, Afghanistan continues to receive billions of dollars in military assistance. This includes the building of a national military command center, with training compounds across the country. Some of the weapons included American Humvees and other trucks, M16 rifles, and bulletproof vests. The ANA has a contract with International Trucks. It will provide a fleet of 2,781 trucks which can be used for transporting personnel, water, petroleum and a recovery truck. Besides NATO, Afghanistan has been increasingly turning to its regional allies, India and Russia for military aid and supplies. Both countries supported the Northern Alliance, with funding, training, supplies and medical treatment of wounded fighters, against the Taliban for years prior to the U.S.-led invasion in 2001. And post invasion, India has been helping with several billion dollars invested in infrastructure development projects in Afghanistan besides the training of Afghan officers in India, but has been reluctant to provide military aid due to fears of antagonizing its regional rival Pakistan. In 2013, after years of subtle reminders, the Afghan government sent a wish list of heavy weapons to India. The list includes as many as 150 T-72 battle tanks, 120 (105 mm) field guns, a large number of 82 mm mortars and a large number of trucks. In 2014, India signed a deal with Russia and Afghanistan where it would pay Russia for all the heavy equipment requested by Afghanistan instead of directly supplying them. The deal also includes the refurbishment of heavy weapons left behind since the Soviet war. Soviet Union Armoured Personnel Carriers 40 After the Soviet–Afghan War a number of BMP-1 IFVs fell into the hands of Afghan Mujahideen. 60 1987–2002 150 along with 1,500 9M111 Fagot ATGMs were ordered in 1987 from the Soviet Union and delivered between 1987 and 1991 (some of the vehicles were possibly previously in Soviet service). 550 BMP-1s and BMP-2s in service in 1992. Between 60 and 80 BMP-1s and BMP-2s were delivered from Russia after 2002. United States 173 In 2005, 173 M113A2 APCs also entered service with the ANA. 8,500 Up-Armored M1151 and M1152 versions. In August 2010, an order was placed for a further 2,526 M1152A1 HMMWVs with B2 armor kits, for the Afghan National Guard & police. 950 M1114 Humvees delivered by November 2012. About 6,576 to be delivered in the next couple of years. Afghanistan Defense Ministry's Spokesman, Gen. Zahir Azimi confirmed that Afghan armed forces will receive 212 MRAP vehicles from the United States by the end this year with so far being trained on how to use the received 40 MRAPs. Mobile operational reserve vehicle 634 (over 6,000 on order) In addition to ASV and APC configurations, other mission variants include: command and control, ambulance, engineering, maintenance, mortar, and reconnaissance vehicles. To be fully delivered by the end of 2012. The Quick Reaction Forces kandaks are being organized as motorized infantry equipped with 352 Mobile Strike Force Vehicles (MSFV). Shipments of the vehicles began in November 2011, and the ANA is to take possession of the first 58 in March 2012. There is some confusion over the exact amount and type of vehicles in the QRF with various sources giving different figures. While some sources reporting on the formation of the QRF state that 440–490 M1117s have been ordered it is unclear whether all of these will be assigned to the QRF. The first 18 M1117s were sent to Afghanistan in November 2011. In March 2012 the ANA will take delivery of the first 58 of 352 MSFVs which will include some or all of the M1117s. Other sources report that 352 MSFV (which include M1117s) will be supplied to the ANA. It is likely that 281 of the 352 MSFV will be M1117 Armored Security Vehicle while the other 71 will be other vehicle types including the Navistar 7000 series Medium Tactical Vehicles (MTV), the 4x4 chassis of which is used for the MRAP. The US has ordered 9900 of the International MaxxPro MRAP configuration alone for the Afghan National Army and the Iraqi Army. Additional support vehicles will also be required to maintain a force such as this in the field. In order to use the MSFV the members of the quick reaction forces must be trained in their upkeep and maintenance. This began by training Afghan instructors who will help to pass on the knowledge to the Quick Reaction Forces members with increasing levels of responsibility. Currently most of the training is being undertaken by American and French instructors. The US Army report that the Quick Reaction Forces will be equipped with 352 Mobile Strike Force Vehicles or MSFVs. The MSFV is an updated version of a vehicle supplied by Textron Marine & Land Systems who also produce the M1117. The MSFV utilizes off the shelf parts where possible, significantly reducing costs. The standard MSFV APC can be supplied in three options: Gunner Protection Kit, with Turret and as an Armored Ambulance. By November 14, 2011, 18 had been delivered. It is currently not clear whether the 281 MSFVs are in addition to the 490 M117s or part of the order. In March 2012 Textron Marine & Land Systems who have produced all of the existing MSFVs were awarded a contract for an additional 64 MSFV to be sent to Afghanistan. These will again be based on the M117. Three variants of MSFV are with Turret, MSFV with Objective Gunner Protection Kit; and MSFV Ambulance. In April 2012 it was announced that a second option to supply a further 65 MSFV in all three variants has been awarded to Textron Marine & Land Systems. This brings the total number of MSFVs to 369. By 7 March 2013 the Textron had received orders for 634 MSFVs. They report that 300 of these have already been fielded. Soviet Union Main battle tank 600 1961–1991 50 T-54s and 50 T-55s were ordered in 1961 from the Soviet Union and delivered between 1962 and 1964 (T-54s were previously in Soviet service). 200 T-54s were ordered in 1978 from the Soviet Union and delivered between 1978 and 1979. 705 T-55s were ordered in 1978 from the Soviet Union and delivered between 1978 and 1991. There were 1,000 T-54s, T-55s, T-62s and PT-76s in service as of 1 April 1992. 1973–1991 100 ordered in 1973 from the Soviet Union and delivered between 1975 and 1976. 155 ordered in 1979 from the Soviet Union and delivered between 1979 and 1991. T-62 variants in service with the Afghan army were T-62, T-62M and T-62M1. ZPU-4 Anti-aircraft gun Variants include ZPU-1 and ZPU-2. Mostly left by the Soviet Union at the time of the withdrawal. Many mounted on trucks as improvised fire support systems. Self-propelled anti-aircraft gun 20 were delivered from USSR. Howitzer 152 As of September 2013 the ANA is in possession of 152 D30 howitzers, the supply of which is being coordinated by Picatinny Arsenal, the US military center for excellence in artillery. This will rise to 204 systems eventually. Soviet Union Bolt-action rifle Ceremonial use. Soviet Union Assault rifle Storage. Phased out of the service since 2008. Used by Afghan Special Forces and some regular units. Poland Use by regular units. United States 104,000 The U.S. military provided the Afghan National Army with M16 rifles as part of a modernization effort. 10,000 Only used by Afghan National Army Commandos and Special Forces. M4s sold as part of a 2006 Foreign Military Sales package. Additional M4s sold as a 2008 Foreign Military Sales package. Canada 2,500 On December 23, 2007, Canadian media reported that the Canadian Forces would supply the Afghan National Army with 2,500 surplus Colt Canada C7 rifles (a Canadian variant of the M16), along with training and ammunition in order to Westernise Afghan equipment. In June 2011, the Afghan National Army returned the loaned C7 rifles as the ANA preferred the American M16 rifle. ^ "Retrieved August 2009". Archived from the original on 2011-02-11. Retrieved 2011-01-01. ^ a b "Enhancing Security and Stability in Afghanistan" (PDF). Department of Defense. June 2017. p. 51. Retrieved 30 September 2017. ^ a b Library of Congress Country Study Afghanistan, 1986, 290-291. ^ "Bomb blast hits Afghanistan on security handover day". Deutsche Welle. Deutsche Welle. 19 June 2013. Retrieved 23 June 2013. and "Karzai announces Afghan security handover". Agence France-Presse. Global Post. 18 June 2013. Archived from the original on 22 June 2013. Retrieved 23 June 2013. ^ Houtsma, M. Th. (1993). E.J. Brill's first encyclopedia of Islam 1913-1936. BRILL. pp. 150–51. ISBN 978-90-04-09796-4. Retrieved 2010-09-24. ^ "AN OUTLINE OF THE HISTORY OF PERSIA DURING THE LAST TWO CENTURIES (A.D. 1722-1922)". Edward G. Browne. London: Packard Humanities Institute. pp. 29–31. Retrieved 2010-09-24. ^ Louis Dupree, Nancy Hatch Dupree; et al. "Last Afghan empire". The Online Encyclopædia Britannica. Retrieved 2010-08-22. ^ Ali Ahmad Jalali, Parameters, 2002. ^ Mark Sedra, Security Sector Reform in Afghanistan: An Instrument of the State-Building Project, in Andersen, Moller, and Stepputat, 'Fragile States and Insecure People: Violence, Security, and Statehood in the Twenty-first Century,' Palgrave Macmillan, 2007, 153, citing Jalali, Parameters, 2002, 76. ^ Frank Clements, Conflict in Afghanistan: A Historical Encyclopedia, 2-3. ^ Peter Tomsen, The Wars of Afghanistan, Public Affairs, 2011, 90. ^ Angelo Rasanayagam, Afghanistan: A Modern History, 2005, 36. ^ Slinkin MF 1957. The first Afghan "landing" / / Soldier of Fortune. 2004. Number 2 (113). Pp. 13-14, via http://www.xliby.ru/istorija/sekretnye_voiny_sovetskogo_soyuzan/p10.php, accessed August 2013. ^ Брудерер Г. Афганская война. Frankfurt am Main. 1995. С. 43. ^ Library of Congress Country Studies, Afghanistan: A Country Study, American University, 1986, Chapter 5: National Security, p.288-289. ^ Garthoff, Raymond L. Détente and Confrontation. Washington D.C.: The Brookings Institution, 1994. p. 986. ^ Urban, Mark (1988). War in Afghanistan. Houndmills, Basingstoke, Hampshire: Macmillan Press. pp. 12–14. ISBN 978-0-333-43263-1. ^ Urban, Mark (1988). War in Afghanistan. Houndmills, Basingstoke, Hampshire: Macmillan Press. p. 30. ISBN 978-0-333-43263-1. ^ Urban 1988, p.55, citing Asia Week, 30 May 1980. ^ Jane's Defence Weekly, Vol. 4, 1985, p.1148. ^ a b Amtstutz, J. Bruce (1994). Afghanistan: The First Five Years of Soviet Occupation. DIANE Publishing. p. 180. ISBN 0-7881-1111-6. ^ Antonio Giustozzi, War, Politics, and Society in Afghanistan, 2000, 220. See also Davis, 1994. ^ "SS-1 `Scud' (R-11/8K11, R-11FM (SS-N-1B) and R-17/8K14)". Jane's Information Group. 26 April 2001. Archived from the original on 2007-12-15. Retrieved 2008-02-12. ^ 3rd Corps, by the AMF period, 'theoretically incorporated 14th Division, 30th Division, 822nd Brigade, Border Brigades, and approximately 800.. in the Governor's Force in Paktya, Ghazni, Paktika, and Khost Provinces. Michael Bhatia, Mark Sedra, 'Afghanistan, Arms and Conflict: Post-9/11 Security and Insurgency, Routledge, 2008, ISBN 113405422X, 209. ^ Nils Wormer, 'The Networks of Kunduz: A History of Conflict and their actors from 1992 to 2001,' Afghan Analysts Network, August 2012, 10. ^ Antonio Giustozzi, 'Demodernisation,' Small Wars and Insurgencies, Vol. 15, No. 1. ^ Davies, 1995, p.317, cited in Fontini Christia, 'Alliance Formation in Civil Wars,' Cambridge University Press, 2012, p.68. See also p.257. ^ Ali A. Jalali, Afghanistan: The Anatomy of an Ongoing Conflict, Parameters, Spring 2001, pp. 85-98. ^ ReliefWeb ť Document ť Army develops despite militia disarmament issues Archived February 11, 2011, at WebCite and Mukhopadhyay, Dipali. "Disguised warlordism and combatanthood in Balkh: the persistence of informal power in the formal Afghan state." Conflict, Security & Development 9, no. 4 (2009): 535-564. ^ See also Bhatia et al., Afghanistan, Arms and Conflict: Post-9//11 Security and Insurgency, 283. ^ Globalsecurity.org, Afghan Military Forces, accessed August 2013. ^ Disarmament and Reintegration in Afghanistan ICG Asia Report N°65, 30 September 2003, p.3, citing Antonio Giustozzi, "Re-building the Afghan Army", paper presented during a joint seminar on "State Reconstruction and International Engagement in Afghanistan" of the Centre for Development Research, University of Bonn, and the Crisis States Program, Development Research Centre, London School of Economics and Political Science, 30 May-1 June 2003, Bonn. ^ https://reliefweb.int/report/afghanistan/afghanistan-open-letter-president-hamid-karzai; Rasanayagam, 2005, 272. ^ Terrence K. Kelly, Nora Bensahel, Olga Oliker, Security Force Assistance in Afghanistan: Identifying Lessons for Future Efforts, RAND Corporation, 2011, 22. ^ Institute for War and Peace Reporting, "Woman Skydiver Leaps Ahead"
^ CArlotta Gall, 'An Afghan Army Evolves From Fantasy to Slightly Ragged Reality', The New York Times, January 25, 2003. ^ Bhatia, Michael; Sedra, Mark (2008). Afghanistan, Arms and Conflict: Armed groups, disarmament, and security in a postwar society. Abingdon: Routledge. pp. 122–127. ISBN 0-415-47734-4. ^ "Afghan aviation minister assassinated Slaying sparks factional fighting in western city". The Boston Globe. March 22, 2004. Retrieved 2013-06-29. and "Afghan minister killed in Herat". BBC News. 21 March 2004. Retrieved 2013-06-29. and "Afghan Aviation Minister Shot Dead". Associated Press. FOX News. March 21, 2004. Retrieved 2013-06-29. ^ Defense.Gov, "Afghan National Army Activates Second Regional Command," September 23, 2004, https://web.archive.org/web/20100830065614/http://www.defense.gov/news/newsarticle.aspx?id=25226. ^ The Far East and Australasia 2003. Routledge. 2002. p. 63. ISBN 978-1-85743-133-9. ^ a b Arnold, Anthony (1983). Afghanistan's Two-party Communism: Parcham and Khalq. Hoover Press. p. 111. ISBN 978-0-8179-7792-4. Amtstutz, J. Bruce (1994). Afghanistan: The First Five Years of Soviet Occupation. DIANE Publishing. p. 180. ISBN 0-7881-1111-6. The Far East and Australasia 2003. Routledge. 2002. p. 63. ISBN 978-1-85743-133-9. ^ Amtstutz, J. Bruce (1994). Afghanistan: The First Five Years of Soviet Occupation. DIANE Publishing. p. 181. ISBN 0-7881-1111-6. ^ Bonosky, Phillip (2001). Afghanistan–Washington's secret war. International Publishers. p. 261. ISBN 978-0-7178-0732-1. ^ Levite, Ariel; Jenteleson, Bruce; Berman, Larry (1992). Foreign Military Intervention: The Dynamics of Protracted Conflict. Columbia University Press. p. 80. ISBN 978-0-231-07295-3. ^ SoldiersMagazine.com: "Soldiers – the Official U.S. Army Magazine – March 2003" (PDF). Archived from the original (PDF) on 2009-04-18. Retrieved 2011-02-11. ^ Rumsfeld, Donald (August 6, 2004). "Rumsfeld: Cost of Freedom for Iraq Similar to Bringing Democracy to Others". Archived from the original on 2012-04-14. Retrieved 2018-10-03. ^ "Over 153,000 troops fighting 20,000 combatants: NATO". Pajhwok Afghan News. June 6, 2007. Retrieved December 14, 2011. ^ Khwaja Basir Ahmad (July 5, 2010). "ANA strength reaches 134,000". Pajhwok Afghan News. Retrieved December 14, 2011. ^ a b c Pellerindate, Cheryl (May 23, 2011). "Afghan Security Forces Grow in Numbers, Quality". American Forces Press Service. United States Department of Defense. Archived from the original on April 14, 2014. Retrieved 2011-07-10. ^ Blenkin, Max (June 28, 2012). "Afghan National Army a work in progress". The Australian. Retrieved 2012-07-15. ^ "Afghanistan: Karzais On The Run". StrategyPage. October 17, 2014. Retrieved October 20, 2014. ^ SIGAR Report to Congress, January 30, 2013, pp. 73-74, cited in Cordesman, THE Afghan WAR IN 2013: MEETING THE CHALLENGES OF TRANSITION – VOLUME III SECURITY AND THE ANSF, working draft, March 28, 2013, 58. ^ DEPARTMENT OF DEFENSE BLOGGERS ROUNDTABLE WITH MAJOR GENERAL DAVID HOGG, DEPUTY COMMANDER-ARMY, NATO TRAINING MISSION-AFGHANISTAN. U.S. NAVY, OFFICE OF THE SECRETARY OF DEFENSE FOR PUBLIC AFFAIRS, FEBRUARY 18, 2010. (PDF). Retrieved on 2011-12-27. ^ DEPARTMENT OF DEFENSE BLOGGERS ROUNDTABLE WITH ARMY COLONEL Colonel Thomas Umberg. MAY 17, 2010. (PDF). Retrieved on 2011-12-27. ^ 111128-F-HS721-086 | Flickr – Photo Sharing!. Flickr. Retrieved on 2011-12-27. ^ "DVIDS - News - Afghan National Army soldiers soar with Operation Eagle's Flight". DVIDS. Retrieved 11 May 2015. ^ a b "India turns to Russia to help supply arms to Afghan forces". Reuters. Retrieved 11 May 2015. ^ a b "Afghanistan sends India a weapons wish-list ahead of NATO withdrawal". Mail Online. Retrieved 11 May 2015. ^ a b U.S. surge is big, Afghan army is crucial – World news – South and Central Asia – Afghanistan – msnbc.com. MSNBC (2009-12-05). Retrieved on 2011-12-27. ^ a b Corruption, indiscipline slow Afghan training – Army News | News from Afghanistan & Iraq. Army Times. Retrieved on 2011-12-27. ^ U.S. trainers bemoan Afghan corruption. UPI.com (2009-12-09). Retrieved on 2011-12-27. ^ a b c Dianna Cahn Troops fear corruption outweighs progress of Afghan forces. Stars and Stripes. December 9, 2009. Retrieved on 2011-12-27. ^ Chivers, C. J. (2010-02-20). "Military Analysis – Marines Do Heavy Lifting as Afghan Army Lags in Battle". The New York Times. Marja (Afghanistan). Archived from the original on 28 March 2010. Retrieved 2010-04-06. ^ Lardner, Richard, (Associated Press), "Investigation: Afghan Troops Ran, Hid During Deadly Battle", Norfolk Virginian-Pilot, 11 June 2011. ^ Wood, Paul. "US troops show concern over readiness of Afghan army", BBC News, October 16, 2010. ^ Graeme Smith (2011-12-22). "Canada's quest to turn Afghanistan's army of phantoms into fighters". Globe and Mail. Canada. Retrieved 2012-01-04. ^ "5 Polish Troops Killed by Bomb in East Afghanistan". ABC News. Associated Press. December 21, 2011. Retrieved December 21, 2011. ^ Spencer Ackerman, "Not A Single Afghan Battalion Fights Without U.S. Help," Wired, September 26, 2011. ^ "Afghan forces need reading lessons before security transfer". Al Arabiya News. Reuters. 22 June 2012. Retrieved 22 June 2012. ^ "''Afghanistan Security: Afghan Army Growing, but Additional Trainers Needed; Long-term Costs Not Determined'', page 24" (PDF). Retrieved 11 April 2012. ^ Hughes, Dana (25 March 2013). "Former US Commander in Afghanistan John Allen Hopeful, Realistic About Country's Future". ABC OTUS. Retrieved 26 March 2013. ^ Filkins, Dexter (2009-12-02). "With Troop Pledge, New Demands on Afghans". The New York Times. Archived from the original on February 2, 2011. Retrieved 2010-04-14. ^ Ian Traynor (2 December 2010). "Germany accuses US over 'missing' Afghan funds, WikiLeaks cables show". The Guardian. Archived from the original on 2 December 2010. Retrieved 3 December 2010. ^ a b Shanker, Thom; Schmitt, Eric (2009-03-19). "U.S. Plans Vastly Expanded Afghan Security Force". The New York Times. Retrieved 2010-04-14. ^ Andrea Shalal-Esa U.S. arms sales could hit $50 billion next year. Reuters. July 20, 2010. Retrieved on 2011-12-27. ^ Daniel Wasserbly, 'Pentagon: ANSF will still require 'substantial' help after 2014,' Jane's Defence Weekly, and http://www.defense.gov/transcripts/transcript.aspx?transcriptid=5279. ^ NATO Training Mission-Afghanistan, 'Information Paper: Ministry of Defense: A Year in Review,' 23 January 2011. ^ a b c Afghan National Army update: July 2011 – Threat Matrix. Longwarjournal.org (2011-07-21). Retrieved on 2011-12-27. ^ FedBizOpps.gov, 38—Y—Construction Services for the Second Battalion, 209th headqauters facilities, ANA Kunduz Installation Phase II, Kunduz, Afghanistan. Retrieved August 2009. ^ Marty, Franz J. (10 February 2016). "Isolated Outposts: Badakhshan sitrep". Jane's defence weekly (Vol 53, No. 6). ISSN 0265-3818. ^ DVIDS – News – Afghan leaders recognize military progress in Helmand. Dvidshub.net (2011-04-17). Retrieved on 2011-12-27. ^ Danish chief visits UK advisors in Helmand – British Army Website. Army.mod.uk (2010-10-07). Retrieved on 2011-12-27. ^ James Sims Change of Command at Camp Phoenix. Dvidshub.net. May 31, 2009. Retrieved on 2011-12-27. ^ Afghan National Army update, May 2011. The Long War Journal (2011-05-09). Retrieved on 2011-12-27. ^ US Department of Defense. "Gates Visits New Afghan Commando Training Site". ^ Rose, Cory. "ANA Special Operations Command stands up first division in Afghan history". NATO Training Mission – Afghanistan Public Affairs. Retrieved 14 December 2012. ^ "NATO Secretary General Witnesses Afghan Army Strength". eNews Park Forest. 12 April 2012. Archived from the original on 14 June 2013. Retrieved 14 December 2012. ^ "ANA Commissions Special Mission Wing". Us Department of Defense. Retrieved 14 December 2012. ^ a b c d Afghan special forces expand to handle night raids, delicate missions, but training takes time. The Washington Post. Retrieved on 2012-01-01. ^ Making the Afghan Special Forces | Special Force Archived 2010-11-28 at the Wayback Machine. Specialforce.info (2010-05-20). Retrieved on 2011-12-27. ^ Photos: Special Forces Join Forces. NPR. Retrieved on 2011-12-27. ^ Special Operations: Afghanistan Grows Its Own Special Forces. Strategypage.com (2010-11-12). Retrieved on 2011-12-27. ^ DVIDS – News – ANA special forces soldiers receive berets in ceremony. Dvidshub.net. Retrieved on 2011-12-27. ^ DVIDS – News – Afghan special forces receive berets in ceremony. Dvidshub.net. Retrieved on 2011-12-27. ^ DVIDS – News – Afghan National Army connects, surveys, secures in Sangin. Dvidshub.net (2011-11-24). Retrieved on 2011-12-27. ^ DVIDS – News – Afghan National Army hosts Sangin residents, promotes security. Dvidshub.net (2011-11-24). Retrieved on 2011-12-27. ^ Combat Logistics Battalion 1 Archived 2012-08-02 at Archive.today. I-mef.usmc.mil (2010-01-30). Retrieved on 2011-12-27. ^ "POLITICS: Tajik Grip on Afghan Army Signals New Ethnic War". Inter Press Service (IPS). November 28, 2009. Retrieved 1 September 2010. ^ "The Afghan national army". smallwarsjournal.com. December 4, 2012. Retrieved 15 January 2014. ^ "Afghan Army Struggles With Ethnic Divisions". CBS News. Retrieved 26 July 2010. ^ "India to pay Russia for arms, ammo it sells to Afghanistan". The Indian Express. 18 April 2014. Retrieved 11 May 2015. ^ "M113As of ANA". Retrieved 2013-02-12. ^ a b "First production MSFVs shipped to Afghan National Army". United States Army. 14 November 2011. Retrieved 11 April 2012. ^ a b c d "Course brings Afghanistan step closer to having armor corps". United States Army. 23 January 2012. Retrieved 11 April 2012. ^ "M1117 Family ASVs for the Afghan National Army". Defenseindustrydaily.com. 28 February 2012. Retrieved 11 April 2012. ^ CJ Radin (21 July 2011). "Afghan National Army update: July 2011 – Threat Matrix". Longwarjournal.org. Retrieved 11 April 2012. ^ "Ares Homepage". Aviationweek.com. Retrieved 11 April 2012. ^ ARG. "Navistar International 7000 series Heavy Utility Truck". Military-Today.com. Retrieved 11 April 2012. ^ First production MSFVs shipped to Afghan National Army | Article | The United States Army. Army.mil. November 14, 2011. Retrieved on 2011-12-27. ^ "Textron Marine & Land Systems Awarded Contract Option for Additional Afghanistan National Army Armored Vehicles". MarketWatch. Retrieved 11 April 2012. ^ "defence.professionals". defpro.com. 20 April 2012. Retrieved 11 April 2012. ^ "defence.professionals". defpro.com. 2 April 2012. Retrieved 26 April 2012. ^ "Commando Family Armored Cars for the Afghan National Army". Defense Industry Daily. 7 March 2013. Retrieved 11 May 2015. ^ SIPRI Arms Transfers Database. Armstrade.sipri.org. Retrieved on 2011-12-27. ^ Армии стран мира : Вооруженные силы иностранных государств на 2001 год : А. Soldiering.ru. Retrieved on 2011-12-27. ^ a b Swami, Praveen. "Why India is concerned about supplying arms to Afghanistan". Firstpost World. Retrieved 27 May 2013. ^ Afghan Soldiers Learn to Maintain Medium Tactical Vehicles, U.S. Department of Defense, January 9, 2006. Amtstutz, J. Bruce, Afghanistan: The First Five Years of Soviet Occupation, National Defense University, Washington DC, 1986. Jalali,, Ali A. "Afghanistan: The Anatomy of an Ongoing Conflict". Parameters. U.S. Army (Spring 2001): 85–98. Retrieved 7 February 2015. Bhatia, Michael; Sedra, Mark (2008). Afghanistan, Arms and Conflict: Armed groups, disarmament, and security in a postwar society. Abingdon: Routledge. ISBN 0-415-47734-4. Kenneth Conboy, 'Elite Forces of India and Pakistan,' - also covers Afghanistan, including post 1978 coup creation of 26th Parachute Regiment from two previous command units. Yuri V. Gankovskii, Istoriia Vooruzhennykh Sil Afganistana: 1747–1977, Moscow: Nauka (also reported as Institut Vostokovedeniya), 1985. Antonio Giustozzi, 'Shadow Ownership and SSR in Afghanistan,' Chap. 11 in Tim Donnais (ed.) 'Local Ownership and Security Sector Reform,' DCAF/Lit Verlag, Zurich/Berlin, 2008 'Local Ownership.' Portrays a varying level of vested interest/warlord subversion of reform among the various security agencies; little local ownership at the MOD/ANA despite several attempts to seize more local control and subvert the foreign process by not proving enough personnel, imposing different officers, and wanting a conscript force. The army is financially unsustainable even at 70,000 strong and not being trained for combat in small units. Antonio Giustozzi, The Army of Afghanistan: A Political History of a Fragile Institution, London, C Hurst & Co., 2016; 288 pp. ; £35.00; hbk; ISBN 9781849044813. Due to its 'simplicity, which matched low technology and basic organization found among the human resources available' the Taliban's army from 1996-2001 was perhaps the most successful national army for Afghanistan (p. 121). James Hardy, 'British MP urges changes to Afghan forces,' Jane's Defence Weekly, v.48, no.35, August 31, 2011, p. 15 (ISSN 0265-3818). Lieutenant Colonel Gavin Keating, 'Living in the Twilight Zone: Advising the Afghan National Army at the Corps Level', Australian Army Journal, Vol. VIII, No. 3, Summer 2011. Maloney, Sean M. (2005), Enduring the Freedom: A Rogue Historian in Afghanistan, Washington, DC: Potomac Books, ISBN 1-57488-953-2 (2007 paperback edition covers ANA Reconstruction Team, 2002–03, pp. 141–145). 'US seeks to halve ANSF funds by 2014,' Jane's Defence Weekly, 5 October 2011. Reporting comments by Lt Gen Caldwell, Commander NATO Training Mission-Afghanistan (NTM-A), 26 September 2011. "U.S. Acquisition Decisions Undermine Afghan Air Force". Daniel Goure, Ph.D. January 28, 2013. Retrieved March 18, 2013. Wikimedia Commons has media related to Afghan National Army.